When Is It Time To Ask About Hospice Care? The short answer? Now. If you are caring for or worrying about a loved one who is elderly or very ill, it is never too soon to start educating yourself. It’s best to learn about hospice care and ask questions in advance so you know what to expect. Although end-of-life care may be difficult to discuss, it’s important for loved ones and family members to share their wishes before it becomes a concern. This can greatly reduce stress when the time for hospice becomes apparent. Hospice care is end-of-life care. It is not a particular place, like a hospital, but a service that provides care and support to people who are dying and their families, most often in the patient’s home. When a person enters hospice, the focus shifts from curing to caring. 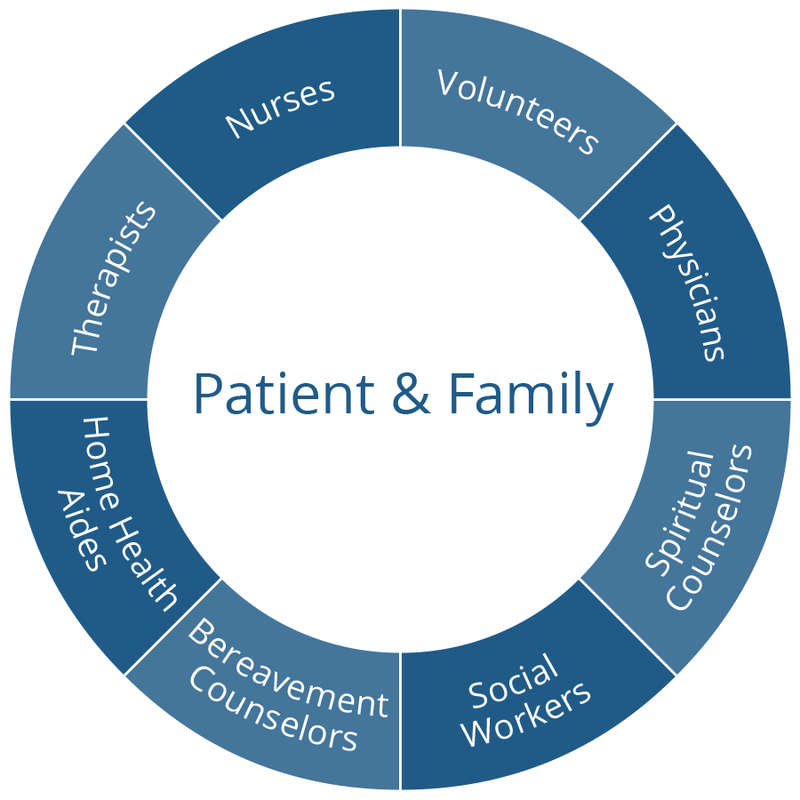 The goal of hospice care it to help people who are dying have peace, comfort and dignity. In hospice, a team of caregivers (see illustration) provides comprehensive care, including medical, psychological and spiritual support for the patient, as well as services to support their family. The caregivers try to control pain and other symptoms so a person can remain as alert and comfortable as possible. Make an appointment to discuss these issues with your loved one’s doctor—especially if they have a long-term relationship. Again, it’s best to have this conversation before end-of-life care is needed. Discuss your loved one’s wishes and what kind of care hospice could provide that is specific to your loved one’s condition. The doctor can also answer questions about paying for hospice and whether or not Medicare will cover the cost. 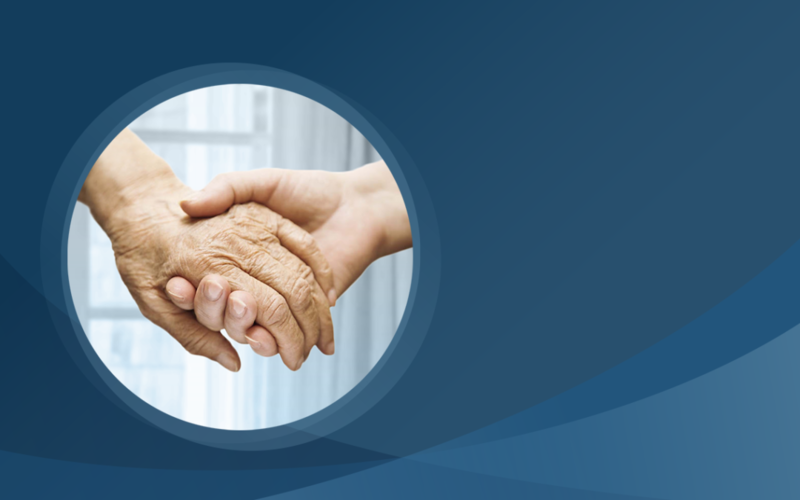 If the doctor feels that hospice care is appropriate for your loved one, and you both agree, he or she can initiate the process of certification and refer you to a recommended hospice provider.